Living in Crete, a perfect Greek Island to live, work and play! The biggest & best of the Greek Islands! Living in Crete is a dream that some make a reality. Whether you want to live in Crete full time and permanently or you want to a holiday home to spend part of the year on this wonderful Greek Island. There are lots of expats living in Crete from all nationalities. Many of the expats living in Crete are from the UK. People who want to live in Crete are drawn to it because of the many attractions of Crete. 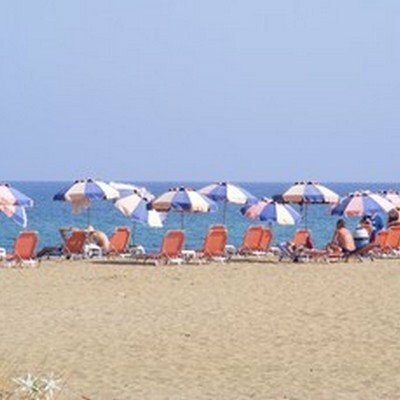 Combine this with the wonderful weather, high average temperature in Crete, very low crime rate, friendly and welcoming Cretans and wonderful scenery it comes as no surprise that the largest of the Greek Islands is so very popular with expats. There is lots to consider if you want to live in Crete either full time or part time. Whether you are considering moving to Crete, have children and/or have pets to think about, wondering how you can make your living here or just looking forward to retirement in the sun. Greek bureaucracy can be a minefield in relation to renting or buying Crete property, dealing with utility companies, health care, day to day life in Crete and exploring Cretan culture and customs. Living in Crete and perhaps buying a property in Crete is a dream shared by many. Long lazy days spent by the seashore. A relaxed stress free lifesyle and a wonderful home to live in are so appealing. There is plenty of choice of Crete property for sale or to rent, making living in Crete a reality rather than just a dream. Demand for Crete properties is not just for holiday homes, but also for people who are moving to Crete permanently. Many are drawn to Crete because of its unique mixture of culture, tradition and laid-back charm, with all the amenities of modern living available. Crete has a very low crime rate. Crete has excellent hospitals, schools and universities, while opportunities to start a business are growing in the travel and tourism industry and in property development, making living in Crete a viable option. Unlike smaller Greek islands, Crete doesn’t depend solely on tourism, and many people now choose to live in Crete all year round, as many restaurants, shops and bars stay open throughout the winter. EU membership allows Brits in Crete to receive free healthcare too, for those over 60. However the consequences of the Brexit has yet to be resolved. Buying a property in Crete can also be a sound investment for property buyers. Property is generally cheaper than Spain, France and Italy. See our Crete Property section for more on what, where and why you should rent or buy Crete property. Expats usually find they become far healthier in Crete than there home countries. This can be put down to a stress free lifestyle, long walks in the countryside admiring the flora and fauna, swimming in the ocean and enjoying the best food from the Cretan Diet. See our Health Care in Crete section for in-depth, impartial and independent advice and information on doctors, dentists and hospitals in Crete, pensioners health care provision, the European Health Insurance Card and the reciprocal health care scheme and who is covered. If you are planning on living in Crete permanently, there are obviously many things to consider. Sometimes, the bureaucratic processes involved will put some people off, such as dealing with the utility companies, setting up bank accounts and transferring money to and from Greece. There's also the issues of Residency and tax matters, which does concern people. The consequences of the Brexit has yet to be resolved. None of these are big problems though and all can be overcome, and it is true that the bureaucratic processes in the UK are just as bad, except that it's easier when you speak the language! Many expats find that the red tape is a small price to pay for living on such a wonderful Greek Island. 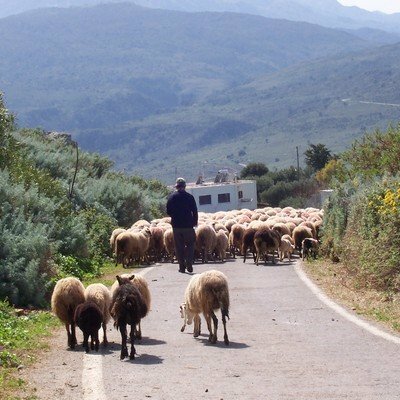 If you’ve yet to make your mind up about moving to Crete or already making plans then check out our Moving to Crete section covering all you’ll need to know about the logistics about relocating to Crete, importing a car, bringing pets to Crete, learning Greek and schools in Crete. getting residency in Crete or funding your Living in Crete dream. Settling in to a new way of life, dealing with Greek Bureaucracy and the day to day issues that crop up, all can seem daunting at first. Such things as: paying bills, getting a Residency Permit, and receiving and sending mail. And if you have children you will need to look into schools in Crete and their health needs. Worried about missing your favourite TV programmes? Check out our very informative TV in Crete page. Getting and using the Internet may be very important for you, particular, if you need it to make your living in Crete. The Internet is widely available in Crete with ADSL or Broadband in most areas. To see more information on getting a telephone, mobile phones and the Internet check out our Internet in Crete page. Greece insists on people having a Residency Permit if they plan to stay for more than 4 months, despite this being illegal under EU law. See our account of getting a Residency Permit in Crete. One of the things you will need to do if you are hoping to live in Crete is to open a Greek bank account. See how on our opening a bank account in Crete page. And for your day to day shopping see our shopping in Crete guide. For all you need to know on the Farmers markets in Crete, supermarkets and clothes shops, electrical appliance and furniture stores etc. Crete has a fascinating culture and it's people can boast an amazingly varied heritage of influence from advanced cultures and civilisations in the ancient world. The friendliness of the Cretan people to visitors is renowned. There is even a Greek word for it - philoxenia - meaning to be friendly to those who you don't know. And make no mistake, this friendliness is not just reserved for tourists – it is genuine, old-fashioned kindness and hospitality. Step into many pretty Cretan villages and you step back in time, where genuine warmth far outweighs the cold hostility unfortunately found in many places these days. A virtually crime free Crete bears witness to this. See more about the Cretans and their culture & customs and just why we love Crete so much. Crete is still a tempting prospect for anyone looking for a holiday home in the sun, despite recent economic woes. Many things are still cheaper here, such as local fresh foods, rents and property. 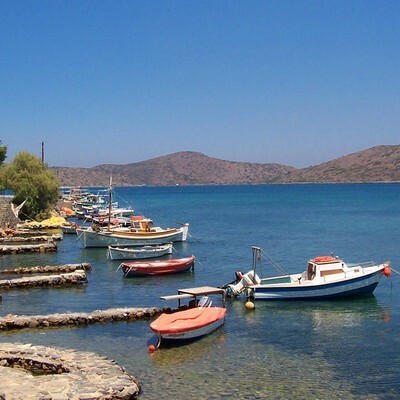 If you are looking for a holiday home, then Crete is a growing market and has a lot going for it. Getting to your accommodation in Crete in the summer is easy with many of the cheapest flights to Crete airports (Heraklion and Chania) flying from several UK airports. Cheap flights from Crete to the UK are also readily available. In winter you would need to pick up connecting flights in Athens or travel from Piraeus to Crete by sea and enjoy an overnight trip sleeping in a comfortable cabin on an ultra modern and up market large ferry. Crete Ferries run by Minoan Lines and Anek are recommended and take you to the ports of Chania or Heraklion. Christmas in Crete can be far less stressful than in the UK! And with over 300 days of sunshine a year the weather in Crete in winter can be very pleasant making living in Crete even better. Click the link for more information on the cost of living in Crete. So if you are thinking about living in Crete and buying your very own place in the sun, maybe its time to do it now. Why not book cheap flights to Crete and book into a hotel. With many coastal towns and villages vying to be the best resort in Crete it won’t be difficult to find your perfect location to start your life in Crete. So why not rent a car for a week or two and travel around this wonderful island of Crete. © Copyright All Original Content 2006 - 2019 Completely-Crete.com. All Rights Reserved. Reproduction in whole or in part without permission is not permitted. from Solo Build It! - even with little or no web experience!